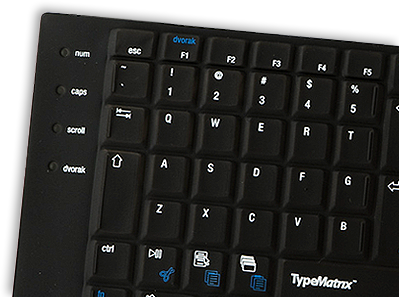 TypeMatrix offers high quality, velvety silicone skins that mold to your 2030 keyboard. These new 2nd generation re-designed skins wrap around the edges on all sides, grasping the keyboard from underneath, thanks to the newly added 3/4 inch border which has cut-outs for the feet. The skins are a little bit thicker and grasp the individual keys tighter, filling into the spaces between the key caps even better. The exit hole for the USB cable is now pre-cut and reinforced. These new skins are still flexible and easy to remove, and can be cleaned with mild detergent and water. Skins are currently available in several layouts in both black or translucent for Belgian, English, French, German, Spanish, and Swedish as well as several alternative layouts including Bépo (French), Colemak, Dvorak (US, UK and Swedish versions), Workman and partially labeled skins for the really creative keyboarders. 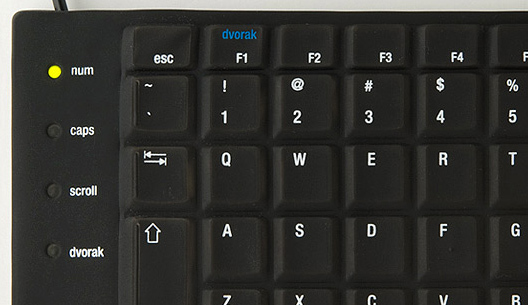 Dvorak: Using a Dvorak skin allows you to easily switch from Qwerty to Dvorak with the push of a button. Use on top of a standard 2030 or translucent skin covering a blank 2030 keyboard. 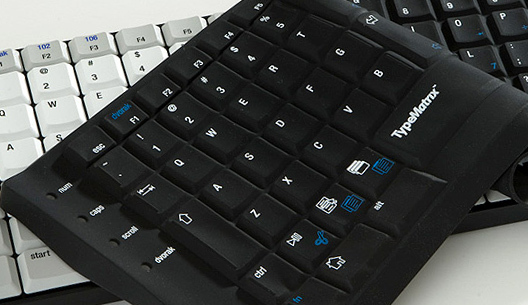 Multiple Languages: The same universal 2030 keyboard can be used to type multiple languages just by swapping a skin! Available in English, French, and Swedish with additional languages coming soon. Protection: Coffee spills near the computer are inevitable. 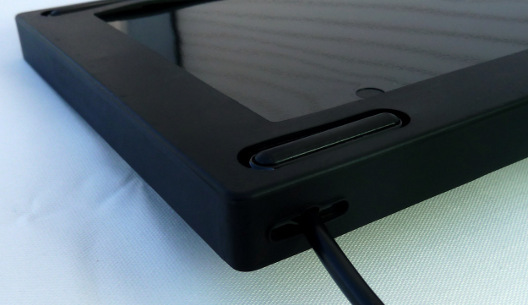 Skins guard your keyboard from spills, dust, and crumbs and are easily wiped clean with a gentle cleanser. 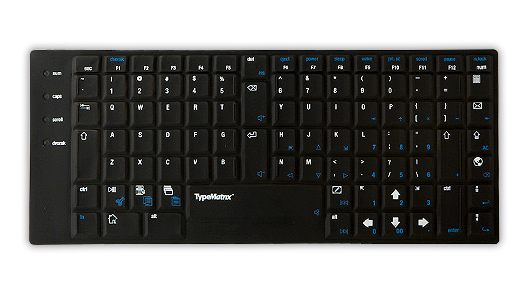 Options: Choose from the many available labelings to suit your typing needs and match your keyboard. All versions available in both Translucent or Black. Protect your 2030 today with a silky smooth keyboard skin.